Traackr has partnered with Scott Guthrie for the following interview. This forms part of our new global series “Influencer Marketing at Scale”. Other companies featured in the series include How Meliá Hotels International Scales Influencer Marketing Across 7 Brands and 4 Continents and How The Body Shop Works With Influencers To Drive Both Social Change And Product Sales. 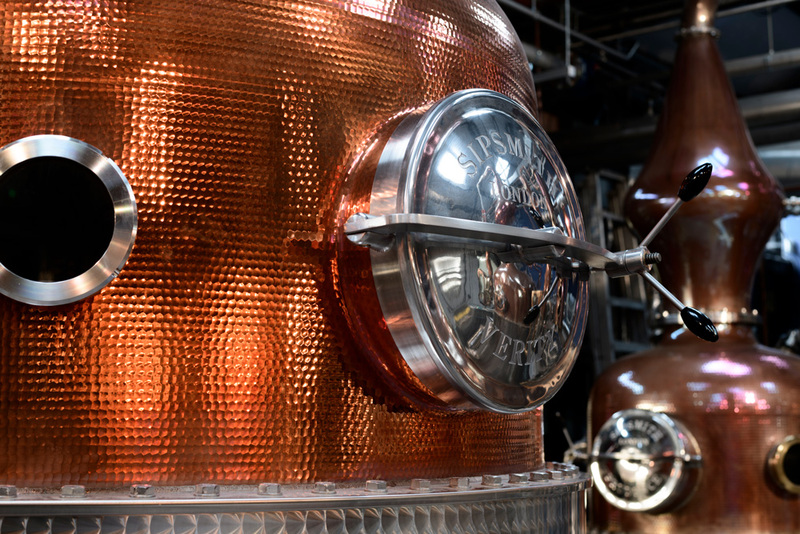 Started in 2009 by two childhood friends, Sipsmith was London’s first copper-pot distillery in nearly 200 years. The company has since played a significant role in the resurgence of artisanal gin distilling. Acquired in late 2016 by Beam Suntory, the world’s third-largest distiller by sales, Sipsmith still operates from its west London distillery creating small batches of gin by hand. Global and UK Marketing Director, Shelley Macintyre oversees Influencer Marketing at the London based Gin distillery. 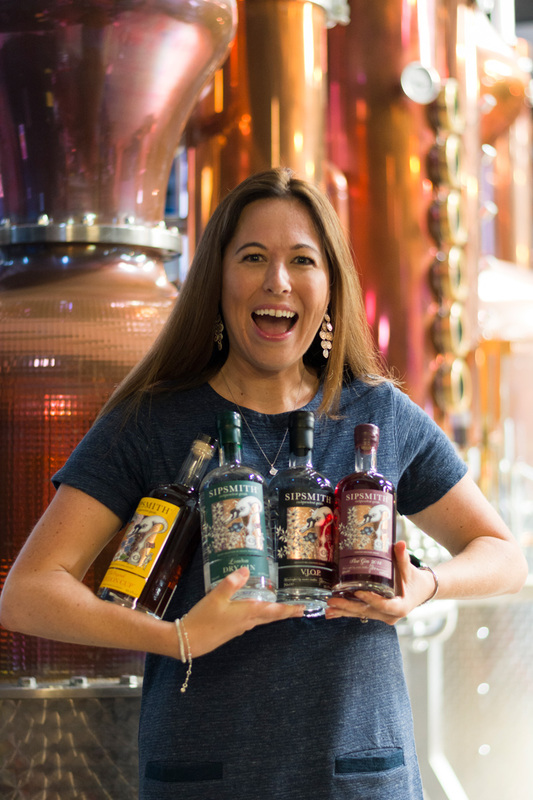 I talked with Shelley Macintyre, Global and UK Marketing Director at Sipsmith about building and scaling a brand through influencer marketing. [SG] How integral is influencer marketing to Sipsmith? [SM] Influencer marketing and word-of-mouth marketing are absolutely central to everything that we do at Sipsmith. Bartenders were our first key influencers. They love the quality of the ingredients and the quality of Sipsmith gin. We hold that if bartenders believe in the product’s integrity they’ll want to talk about the product integrity to the person they’re serving because they’re proud of what they’re using. As more people started to like our approach we then looked at how we could get the word out in a more scaled way, beyond only bartenders - whilst always retaining integrity. We use Traackr to find people who are already talking about gin. People with a genuine love for it who are talking about authenticity and the importance of quality in gin making. Particularly those interested in craft, provenance and artistry. We also like to support up-and-coming influencers because we’re still a startup. We understand what it’s like to beat your own path and be a challenger brand in a very busy market. We look at the type of content these influencers are creating. The look, the feel, the ambiance, the themes. We don’t go after people just because they’ve got a lot of followers. Instead it comes down to the relevance of a person and how their content might resonate with both our audience and theirs. Sipsmith was the first London based copper pot distillery in nearly two hundred years and it paved the way for the new wave of distilleries in the city. Once we’ve identified a potential influencer based on relevance and resonance we introduce them to Sipsmith. We’ll give them a distillery tour, for instance. You quite quickly get a sense of whether there is a shared chemistry once you meet face-to-face. As our approach towards influencers has evolved, we’ve become more attune to what people are searching for online. Last summer negronis were a hot search term in the US, for example. So, we worked on ways to harness our influencer community around that cocktail. We created content outlining the perfect negroni recipe. We held events centred around negronis. Through this approach we’re not just sharing stories about us, we’re sharing stories about subjects people are naturally searching for online. That makes us more interesting to social influencers because they know what their audiences are interested in. It’s their bread and butter to know so. If Sipsmith says ‘come along to this negroni event’ we know influencers are more likely to come because they know their audiences will be interested in that sort of content. As in all partnerships it’s about finding the win-win. [SG] Do you pay influencers? [SM] We have never wanted to pay people to tell our story. We genuinely believe that if we’ve got something interesting to share, and we give people content which is useful they’ll want to talk about it. For us when you pay an influencer it’s not a story shared by someone on behalf of the brand because they love it, it’s shared because they’re benefiting financially from it. And, I think the consumer is more than savvy to that now. When working with influencers we are very willing to hand over control. We never say ‘would you mind just dropping in this sentence to your piece’ or ‘could you make sure you write about this aspect’. We believe a story shared from the heart is a lot more authentic than a story shared under duress. Sipsmith's Hot Gin Roof event at the Ham Yard Hotel hosted 1500 gin lovers in central London and generated significant social media coverage. Influencer marketing doesn’t have a standalone budget at Sipsmith. It’s integrated into everything we do. For instance, at the beginning of the year we hosted Hot Gin Roof at Ham Yard Hotel in London. We ran the event in three phases: a media and influencer night first followed by night for the industry which came ahead of a consumer run of events. The approach was a success. We benefited from 80 organic posts during the media and influencer evening. And, by putting the media and influencer evening first they were able to share exclusive content with their audiences. So, our customers caught a glimpse of what to expect from their evening a few days in advance and, in turn, share these posts with their friends and family online. We didn’t have to put a budget aside for the influencer event. We were doing the event anyway for the consumer. The event was designed to drive publicity for Sipsmith; drive publicity for Ham Yard Hotel and give 1,500 people a memorable experience that they could then share with their friends. That was all without paying people to be there. Time and salaries are expensive but that's our only influencer investment. 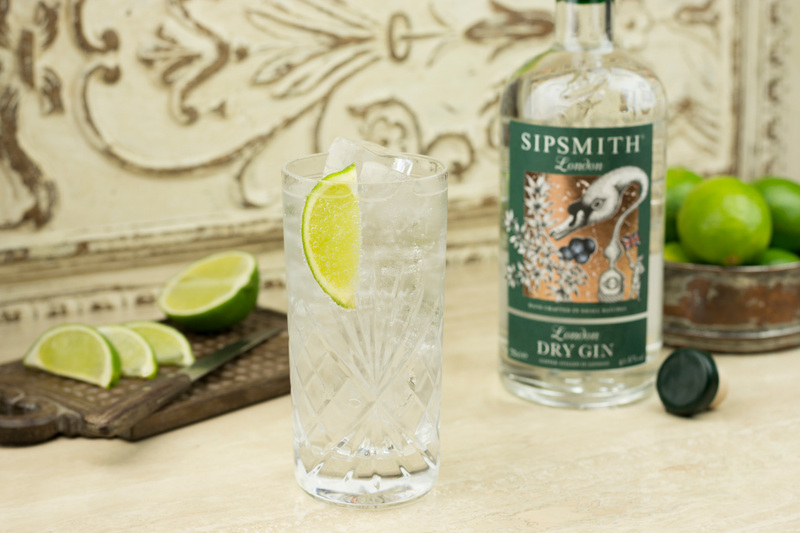 [SG] Is Sipsmith’s approach to influencer marketing campaign based or long term? [SM] We never talk to someone just once. We crave something more meaningful. A connection; an ongoing relationship. We hold this view whether it’s someone buying our gin or someone who creates content about us. This ethos is embodied by Rob Warren, our social media manager. Rob lives by his tagline: ‘no sipper left behind’ meaning anybody who drops us a message receives a personalised response. Whether they’re asking us a question, have something fun to share, or have just commented on a post, Rob will respond leaving a personal reply on behalf of the brand. We want Sipsmith to be a human brand, not a faceless brand. [SG] Sipsmith is now owned by Beam Suntory the world’s third-largest distiller. Has this affected your approach towards influencer marketing? Can you scale your influencer marketing approach internationally? [SM] Beam Suntory are a wonderful partner. They don’t want to change us other than to help us grow internationally. In fact they want to use our word-of-mouth approach with other brands in their portfolio. The US and Spanish teams have embraced our approach towards influencers. They see it nourishes the credibility with the broader PR plan. Traackr allows us to collate all relevant influencer information to use in a scalable way so that we can sense-check what is working, learn from it and apply that knowledge to international markets helping guide those local teams. The distillery sets and shares best practice and then, in partnership with key markets, we guide the strategy. The local markets write the strategy with us and they then execute their local plans. 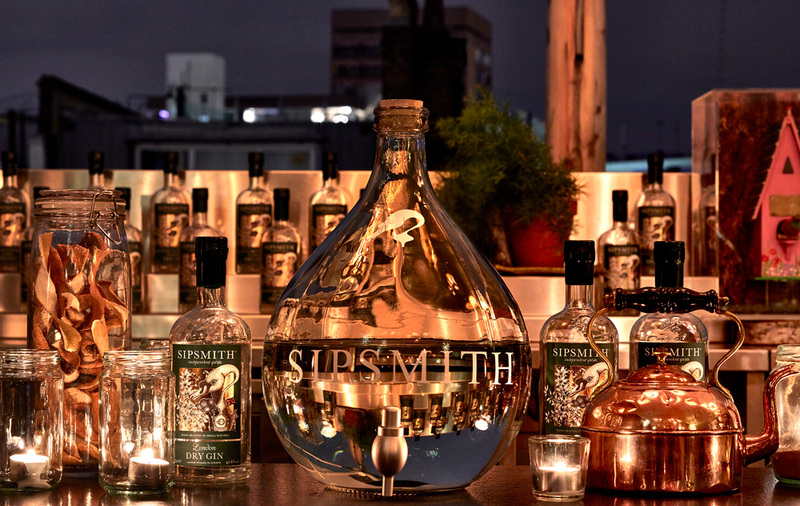 Like their London Dry Gin, Sipsmith views Influencer Marketing as art not science and they are leveraging the practice to cultivate authentic relationships with influencers and their audience. [SG] How does Sipsmith measure influencer marketing success? [SM] The questions we ask are: is the influencer content and relationship authentic? Is it relevant? Does the content resonate with our audience? Is it a win-win relationship for both Sipsmith and the influencer? If we’re ticking those boxes, that’s how we’ll continue to do it. But, it’s harder to scale that relationship. It takes time. Influencer marketing measurement is more of an art than a science at Sipsmith. We don’t measure conversions to purchase. That’s not the point for us. It’s more about other people sharing our stories. Hearing about Sipsmith from someone else is more powerful than hearing it from us as the brand. We still have a lot to do in the marketplace in order to build awareness. What I’m keen to do is get more people thinking. It’s more about building relevance and credibility. Then if more people share stories the more awareness of us grows.